Film and TV Shoots, Studio filming, Theatre/Stage Production, Automotive industry, Sports Productions, Churches, Film Schools, Broadcasting Classes, Box-Sealing, Lighting & Audio/Visual Technicians, Photography, Floor Marking, Holding Down wires to podiums, Musical Gear, Microphones/Guitar Cables, Straps, Drums, Drum Sticks, Mixing Boards and Consoles etc..
What makes GAFFER POWER different than other brands? 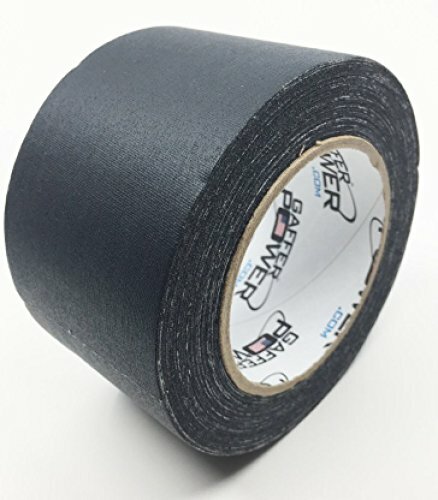 *We stand behind the quality of our gaffer tape and if you're not 100% satisfied with your purchase, we have a no hassle money back guarantee. Get Your Gaffer Power Today! If you have any questions about this product by Gaffer Power, contact us by completing and submitting the form below. If you are looking for a specif part number, please include it with your message.